My name is Bruce Hoon and I live in Crestview, Florida just north of Eglin AFB. I retired in May of 1979....as a pilot over the years. All I have to offer to C141 Heaven .... is words. I was present at the roll out at Dobbins AFB, Smyrna, Georgia. I was in a Special Air Mission Squadron across the field from Lockheed, flying VC-47. 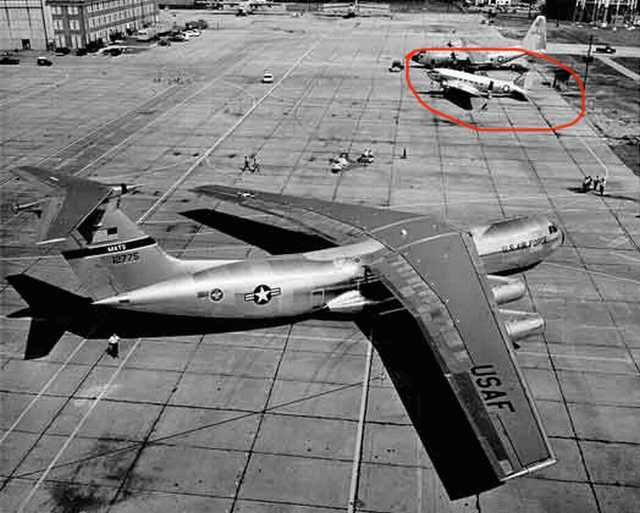 I was requested by Lockheed at that time if we could provide one of the old C-47's for "Static Display" at the presentation of the new C141. In the photos you show of 61-2775 on the ramp, I provided the C-47 at the edge of the ramp. I was also present at it first flight on December 17, 1963....at approximately 10:00 a.m. I think they missed it by about 40 minutes due to some minor write-ups. Later at Wake Island AFB, I was Commander of the Island during "Operation New Life", the refugees from Vietnam. Having been a regular passenger on the C-141 for the previous nine months between Hickham AFB (my headquarters) and Wake. The year was June 1974 thru June 1975. Our mission at that time was to maintain ready an emergency runway of 10,000 feet in Mid-Pacific Ocean. That only required 200 Filipinos, 25 Kentron Hawaii contract administrators, a dozen Coast Guard for the LORAN station, 6 Air Weather Service, 3 Royal Air Force (for transit of RAF and RAAF aircraft)....and finally me and four other blue suitors. 251 total. In March of 1975, PACAF called me and asked how many refugees I could handle and they needed an answer in two hours. Their answer two hours later was 8,000 continuous and 12,000 surge for no more than three days. Potable water was the limiting factor. I said I would also need additional help. The United States Congress was still debating the amount of money support (it ended up a $452 million). I requested a 60 man "Prime Beef" CE team to open pickled permanent housing .... 60 Security Police team to guard 20 acres of water "catchment" basin .... and a variety of other administrative pencil pushers for various functions. Two complete 4077th MASH units from the Philippines .... and three fully functional ARMY field kitchens. A Garbage compactor truck from the City of Honolulu was transported to Wake on a C-5. I received everything I requested. Before the refugees began to arrive, the first aircraft in was a cargo 747 with 70,000 pounds of rice. When the refugees arrived, I enlisted several to volunteer as cooks, with all the associated oriental culinary knowledge. Along with the Field kitchens, I had also asked for 20,000 GI mess kits, and began issuing these to the new arrivals. Once they began arriving they came at a rate of one C-141 every hour and 45 minutes, each with a total of 283 refugees on-board. They were met by no less than a dozen medics, each saddled with bags of syringes for immunizations. Approximately 12 shots for each refugee. The C-141's did not stop coming until the Island was well over the 8,000 limit but we managed. About a month to six weeks into the program I was notified I would receive an IG inspection (Headquarters words for justifying the funds.) I received two IG teams approximately two weeks apart. The first was headed by Lt. Gen. Lewis Wilson, PACAF Commander and the second by four star Admiral Gayler, CINCPAC. Neither team caused any burden to those who were working on site at the most successful of the refugee camps. I was a Major at the time, having been placed in the "Rated Supplement", and completed Base Civil Engineering course at Wright-Patterson AFB. The assignment at Wake required a dual qualified person .... one with both a set of wings and an engineering degree. 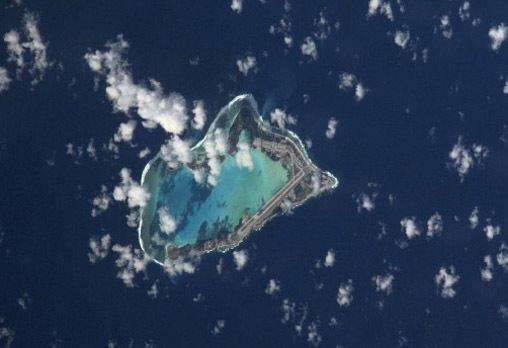 Wake Island from WWII until approximately June 1972 had been administered by the FAA. In 1972 the FAA finally said that with the arrival of the Boeing 707 they no longer needed fueling stops in the Pacific, and returned the Island to the U.S. Department of the Interior. Interior, in turn, turned it over to the DOD, who said they needed an emergency runway in Mid-Pacific. DOD felt the U.S. Air Force was most qualified to handle the job. I was the second man selected to Command the Base. Lots of things had to be accomplished. Pan American World Airways also returned all their assets to the U.S. Government (I accepted them on behalf of the USAF). My assignment at Wake Island AFB was the most exciting assignment throughout my entire Air Force career. I retired in May 1979 at the rank of Lt. Colonel. I am now 73 years of age....and I loved every year of my career.